In 1979, headlines were made around the world when NASA’s first attempt at a manned space station, Skylab, came crashing back down towards the earth. When fragments of the colossal experiment landed on the eastern coast of Western Australia, the parks authority issued NASA with a $400 littering fine for leaving a trail of space junk all over the south-east. Launched in 1973, Skylab functioned as a Manned Orbiting Laboratory, or a base from which scientists and astronauts could conduct research and military reconnaissance. Its launch in May 1973 was not without complications, and the station had to be repaired after a meteoroid shield detached during the launch, dragging two solar panels with it. After the damage was repaired, Skylab went on to set new records in spaceflight. It completed 858 orbits of the Earth and 1081 hours of solar experiments. In 1974, NASA was forced to abandon Skylab after the space station started to break apart. NASA’s scientists knew that Skylab would re-enter the Earth’s atmosphere, but nobody could say exactly where it would land. The world watched with bated breath as Skylab started falling in July 1979. The San Francisco Examiner even offered a reward of $10,000 to the first person to show up at its offices with a piece of the debris. When Skylab finally landed, the pieces of flaming debris came to rest in the Indian Ocean and the Australian outback, not far from Esperance. After hearing about the reward offered by the San Francisco Examiner, Stan Thornton, a 17-year-old truck driver from Esperance, jumped on the first plane to America with a bag full of space junk that had landed in his front yard. He was awarded the cash, but NASA was not so lucky: when officials arrived in Western Australia to collect the remaining debris, the president of Esperance Shire issued them a $400 fine for littering, in a mock ceremony that drew crowds and became part of the Skylab legacy. The fine was issued as a humorous response to the sensation Skylab had caused, and NASA were never seriously expected to pay it. Despite this, Scott Barley, a Californian radio host, launched a good-humoured campaign three decades after Skylab fell, to finally raise the money and clear NASA’s name. 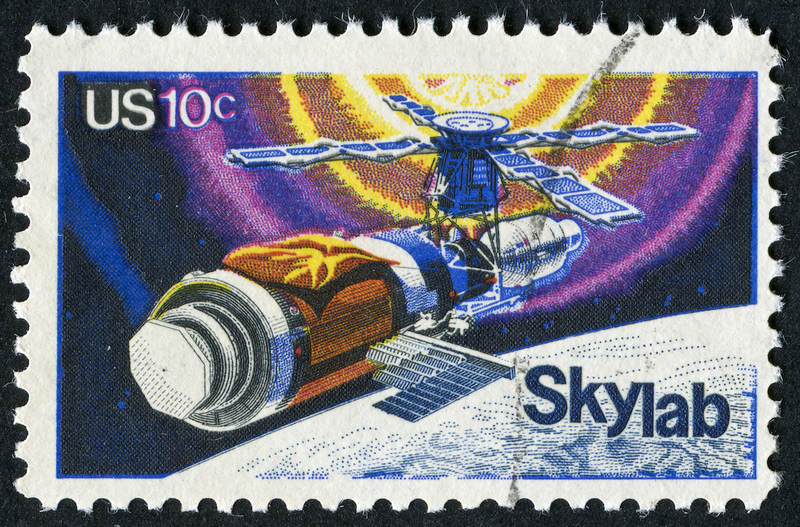 Image: cancelled stamp featuring Skylab. Image (C) istock.com/traveler1116.